In 2012, the Nevada DMV issued the first license to test autonomous vehicles on public roads in the US. The red license plates are only for autonomous test vehicles and are meant to make the cars easily identifiable. This article is an excerpt from a book chapter by Bryant Walker Smith titled A Legal Perspective on Three Misconceptions in Vehicle Automation appearing in Road Vehicle Automation (Springer, 2014, Eds. Gereon Meyer and Sven Baker), and considers only one of the three misconceptions addressed in the full chapter. Casual consumers of automated vehicle news—though not the many casual producers of this news—could be forgiven for concluding that driverless cars are ready to be sold to ordinary drivers. States are passing laws, companies are testing cars on public roads, and commentators are declaring that “the technology is here.” The corollary of this belief is that, if such vehicles are not yet ready, then fault must lie elsewhere—with consumers for not accepting them, with governments for not “legalizing” them1, or with lawyers for outright blocking them. I replied that the research vehicles under discussion were neither designed nor demonstrated to operate at a reasonable level of risk under a full range of unsupervised driving scenarios. Smith, Bryant Walker, Automated Vehicles Are Probably Legal in the United States, Center for Internet and Society, 2012, forthcoming Texas A&M Law Review 2014. Automotive experts recognize that the path from research to product is long—and that there is a tremendous difference between, on one hand, a research system that well-trained technicians carefully maintain, update, and operate exclusively on certain roads in certain conditions and, on the other hand, a production system that poorly trained consumers neglect and abuse for two decades in almost any conceivable driving scenario. For this reason, production vehicles take years to be developed, tested, and certified to a complex array of highly detailed public and private standards. 2 For a discussion on the deployment of driverless specialty vehicles, see: Smith, Bryant Walker, A Legal Perspective on Three Misconceptions in Vehicle Automation (January 1, 2014). 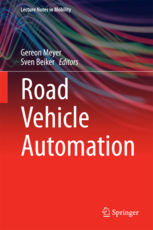 Road Vehicle Automation Lecture Notes in Mobility, Springer, p. 85, June 2014. 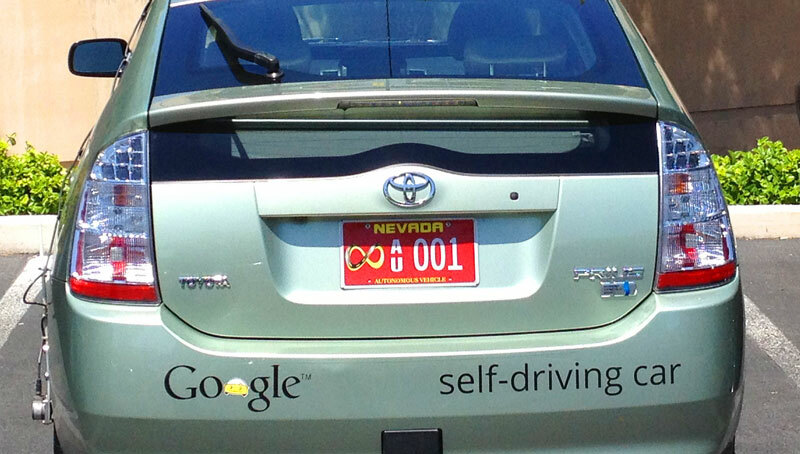 Recent state laws regarding automated driving embrace this important distinction between research-and-development testing and consumer operation: Nevada’s infinity-styled “autonomous vehicle” license plates, for example, are red for test vehicles and, one day, will be green for all others. However, a yellow license plate may, at least metaphorically, be most appropriate for a set of potential deployments that do not fit comfortably in either category. The first deployments of low-speed shuttles2 are likely to be pilot projects. 3 Similarly, as part of the US Department of Transportation’s field study of dedicated short-range communications (DSRC)—a related but distinguishable set of technologies—nearly three thousand ordinary vehicles in Ann Arbor, Michigan were retrofitted with DSRC equipment. Volvo Cars intends to place 100 automated vehicles on public roads in the Swedish city of Gothenburg by 20173. Internet companies that are comfortable with invitation-only beta rollouts of their software and hardware may adopt a similar approach for their updatable automotive products. And an individual who uses a vehicle that she herself has built or modified may likewise straddle the divide between testing and operating. These hybrid deployments may push up against state and federal regimes that assume a more straightforward product path for research, development, production, sale, resale, and disposal. For example, while automakers currently self-certify that their vehicles as originally manufactured meet federal safety standards, this date of original manufacture may be less determinative of the safety of vehicles subsequently modified. Similarly, while state tort law often looks to the date that a product is originally sold to a consumer, as a practical matter this date may become less clear or less relevant to alleged harms. Indeed, automakers concerned about the post-sale modification of their vehicles by third parties have lobbied successfully in Florida and Michigan (and unsuccessfully in California) to expressly limit their liability for injuries caused by such modification. These statutory provisions, however, largely restate existing principles of tort law, which makes both the insistence on and the opposition to them rather striking. The complete lifecycle of early automated vehicles does present significant concerns. The mechanical life of these vehicles may be much longer than the functional life of their automation systems. Consumers in the secondary market may face a hodgepodge of proprietary driver assistance systems with different capabilities and limitations that cannot be easily intuited. And vehicles may long outlive some of the companies—whether small startups or legacy behemoths—responsible for their design, sale, and ongoing support. For these reasons, what I have called “planning for the obsolescence of technologies not yet invented” should be a key consideration for automakers, regulators, and insurers.